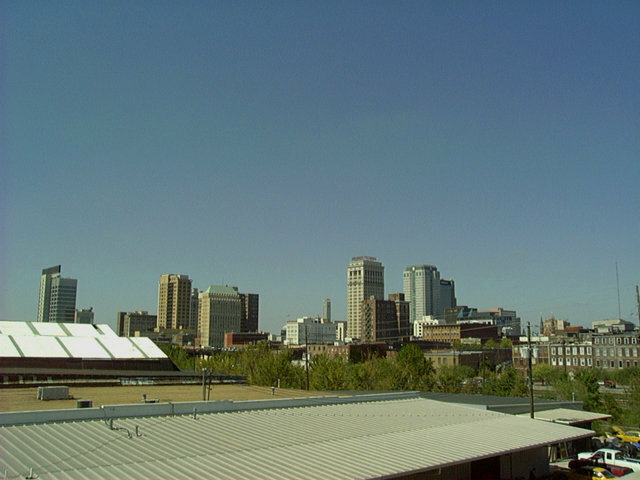 Photos taken from a walk around the Downtown area of Birmingham, Alabama the morning of October 1, 2003. 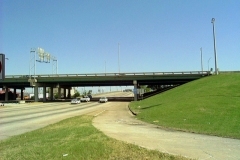 7th Avenue South passes below the Elton B. Stephens Expressway viaduct and ramps associated with the folded diamond interchange at 8th Avenue South. 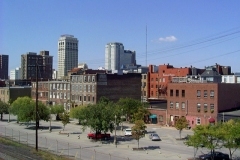 Photo taken 10/01/03. 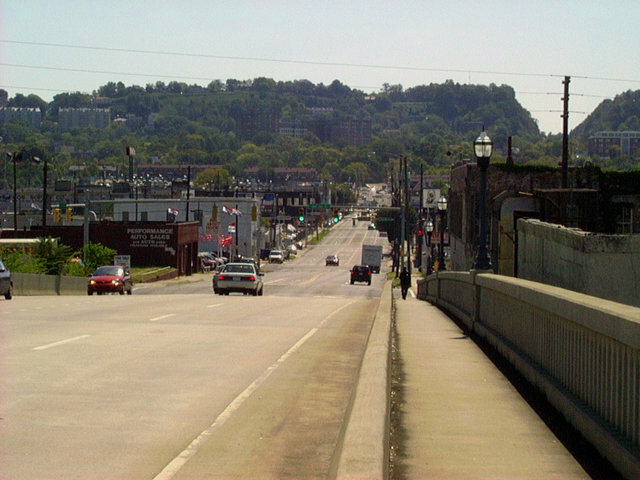 The view along 7th Avenue South leading west from the U.S. 31 & 280 viaduct. 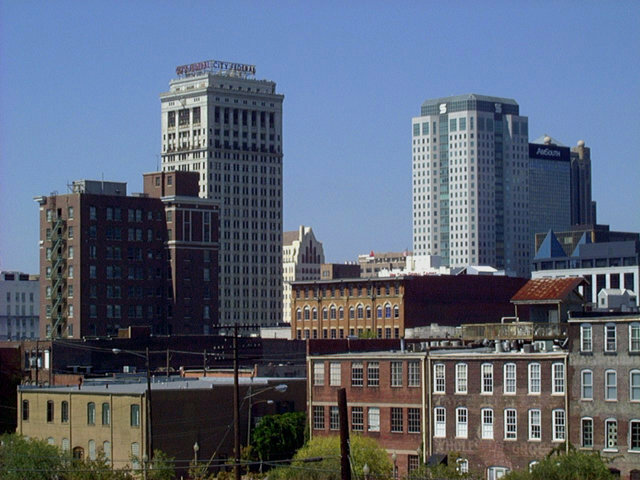 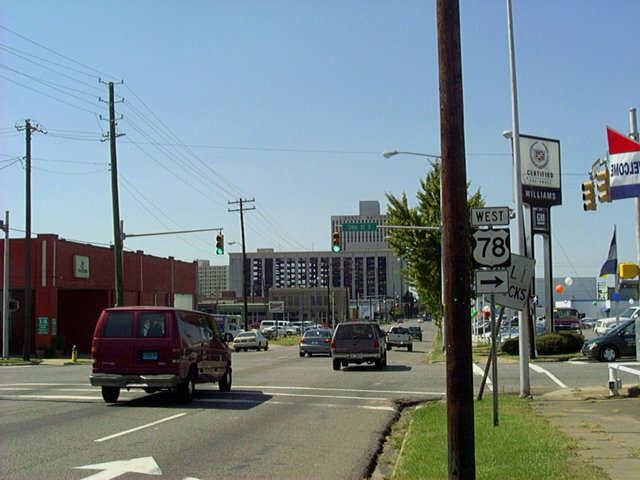 7th Street continues to the University of Alabama at Birmingham (UAB) campus and medical center. 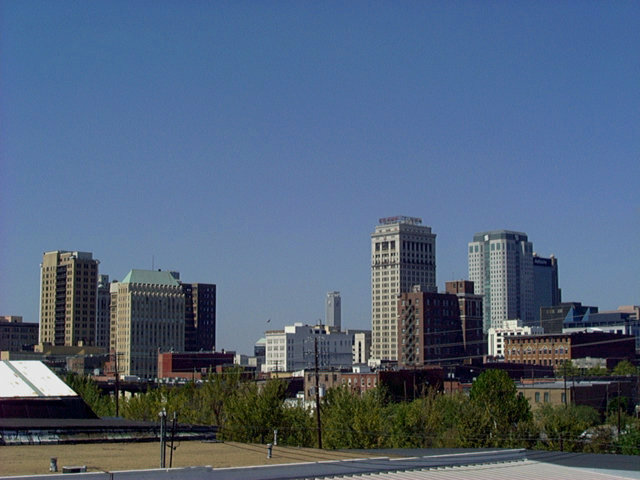 Photo taken 10/01/03. 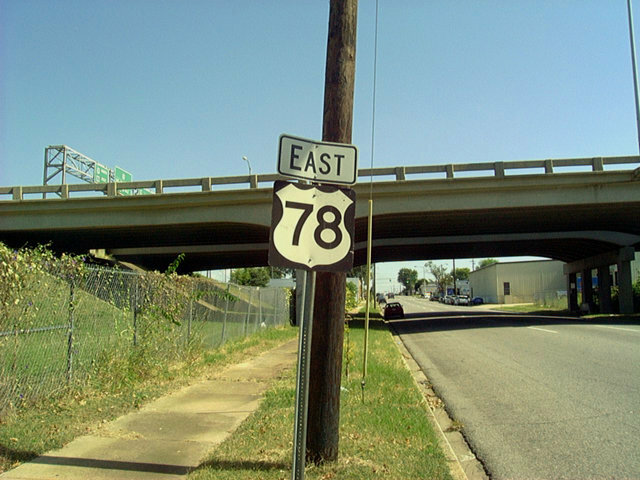 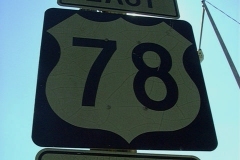 U.S. 78 east parts ways with U.S. 11 north and follows 24th Street south to 4th Avenue S. U.S. 78 then turns east along 4th Avenue S, passing below the Elton B. Stephens Expressway viaduct. 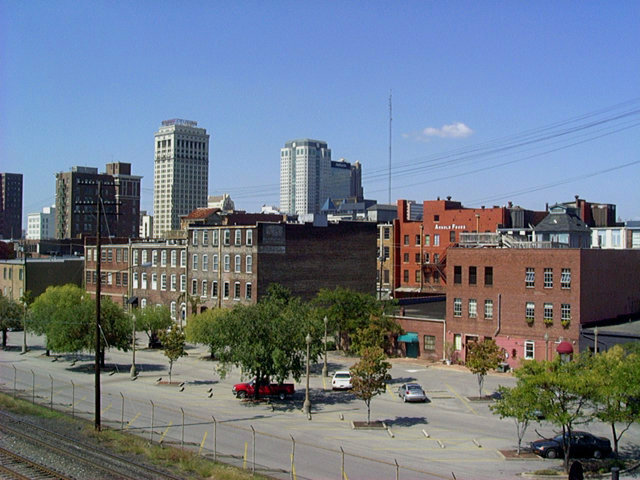 Photo taken 10/01/03. The northbound Elton B. Stephens Expressway sign bridge for the off-ramp to U.S. 78 via 27th Street. 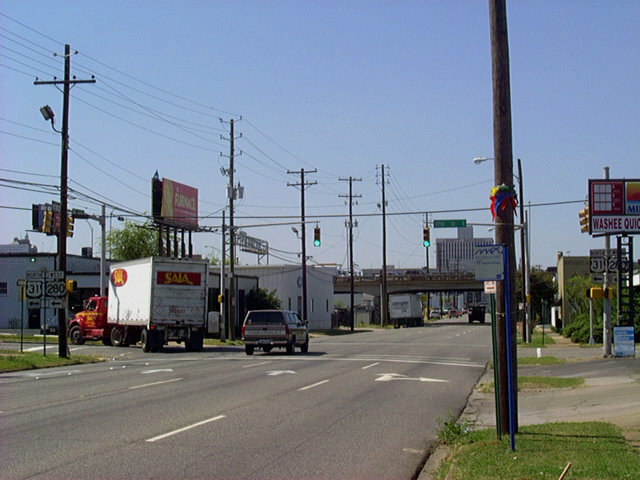 It appears that U.S. 280 westbound originally departed the freeway here for U.S. 78 west along 3rd Avenue S. Photo taken 10/01/03. 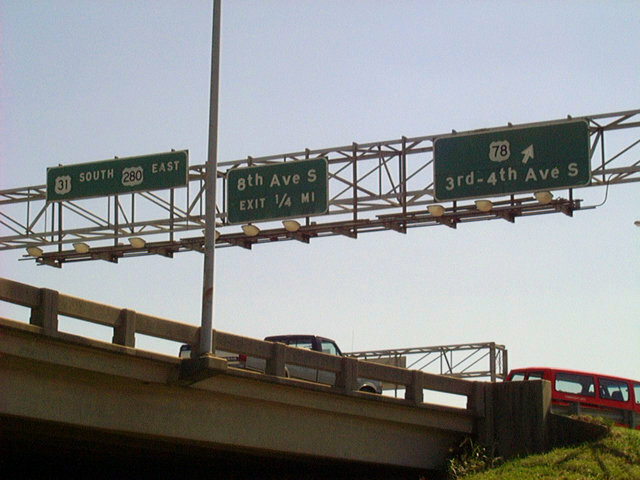 4th Avenue South eastbound at 27th Street. 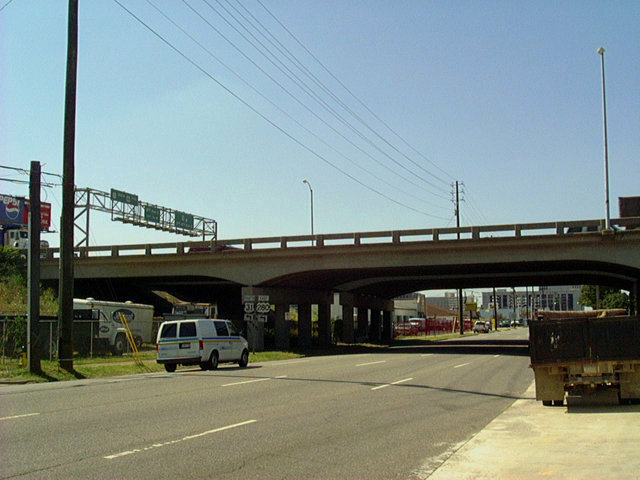 Freeway ramps connect 27th Street with the northbound lanes of U.S. 31/280 between 4th and 3rd Avenues S. Photo taken 10/01/03. 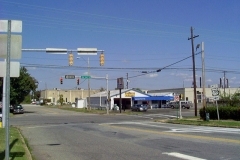 27th Street south at U.S. 78 (4th Avenue S) east. 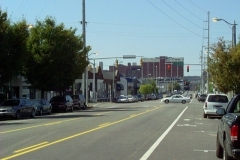 4th Avenue South flows east with two lanes here. 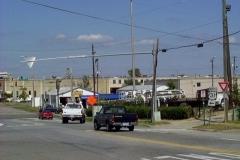 Photo taken 10/01/03. 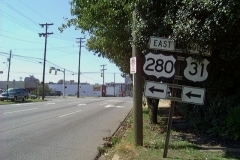 27th Street northbound at the on-ramp for U.S. 31 (Elton B. Stephens Expressway). 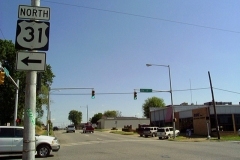 This block is located between the east and westbound directions of U.S. 78 along 3rd / 4th Avenues South. 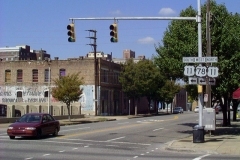 Photo taken 10/01/03. 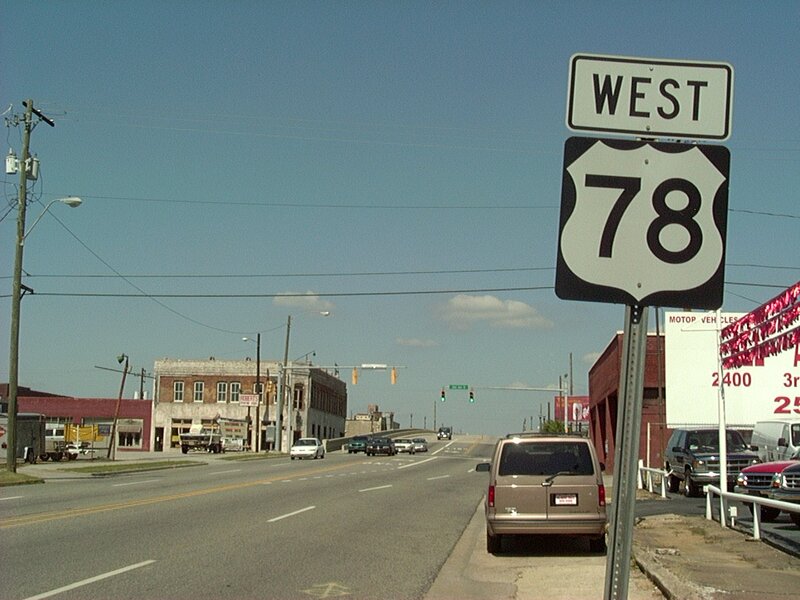 27th Street at U.S. 78 (3rd Avenue N) west. 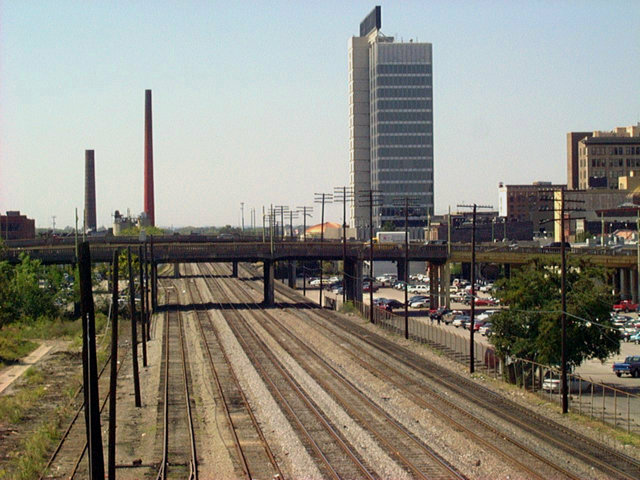 27th Street ends just ahead at the CSX, Norfolk Southern and Amtrak railroad lines. 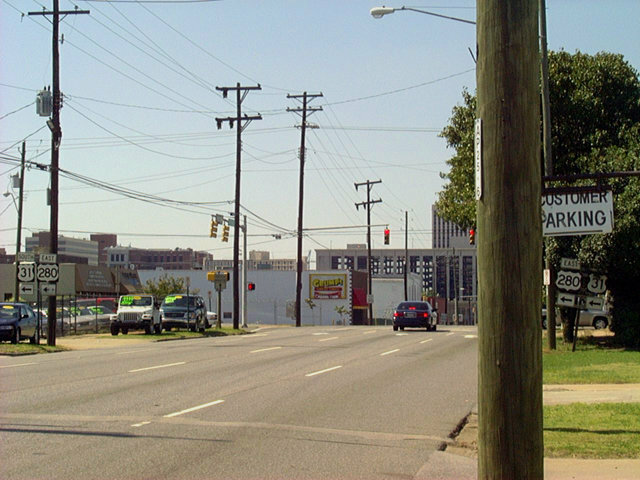 Photo taken 10/01/03. 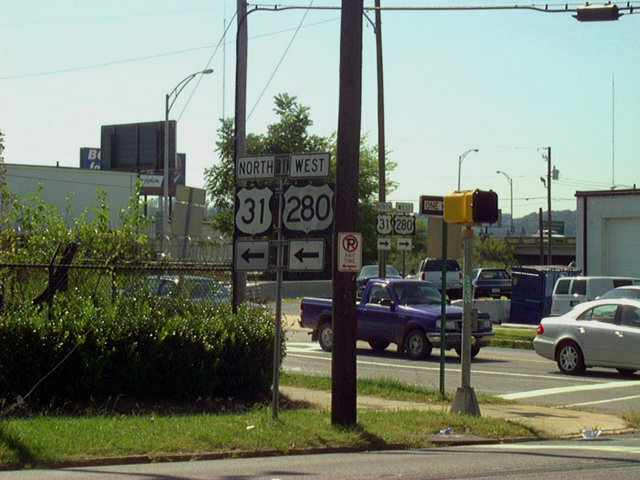 U.S. 31 north & U.S. 280 west shield assembly at the 27th Street on-ramp for the Elton B. Stephens Expressway. 27th Street meets U.S. 78 (4th Avenue S) in the background. 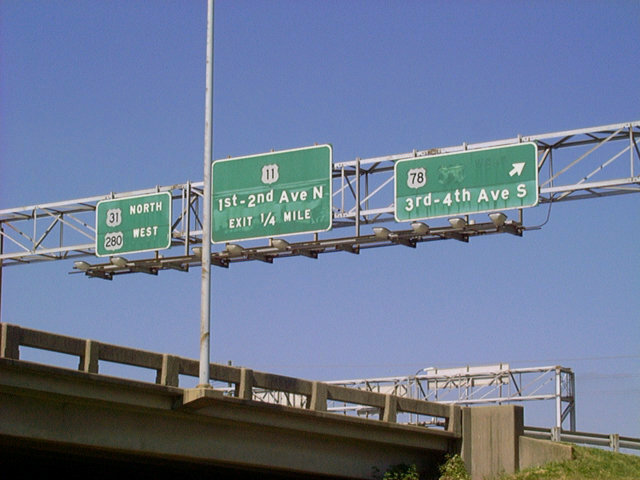 Photo taken 10/01/03. 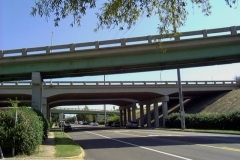 A pair of ramps from U.S. 31 south & U.S. 280 east link the Expressway with U.S. 78 via 27th Street. 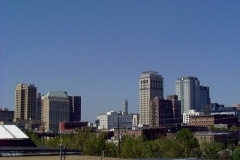 Photo taken 10/01/03. 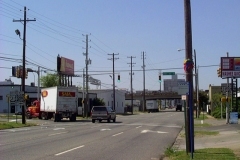 3rd Avenue South westbound approaching 27th Street. 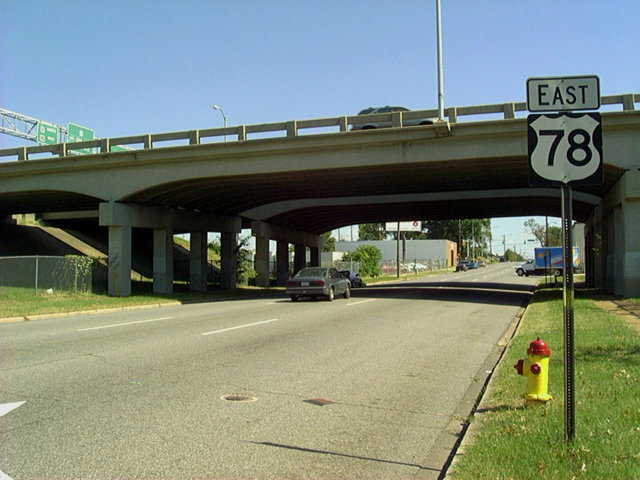 Ramps along 27th Street between 4th Avenue South (U.S. 78 east) and 3rd Avenue South carries traffic to and from the northbound direction of the Elton B. Stephens Expressway. 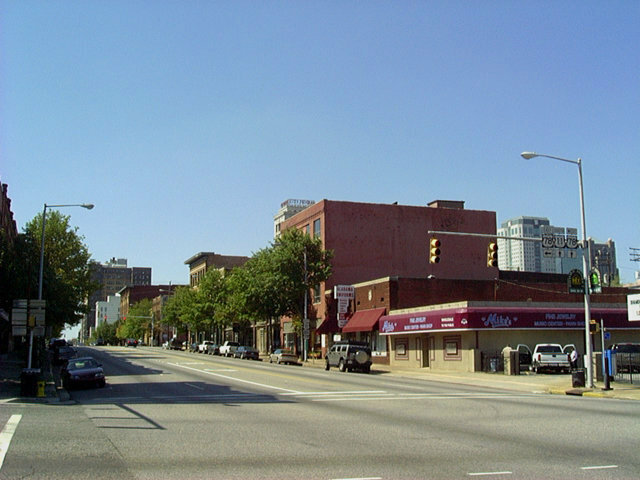 Photo taken 10/01/03. 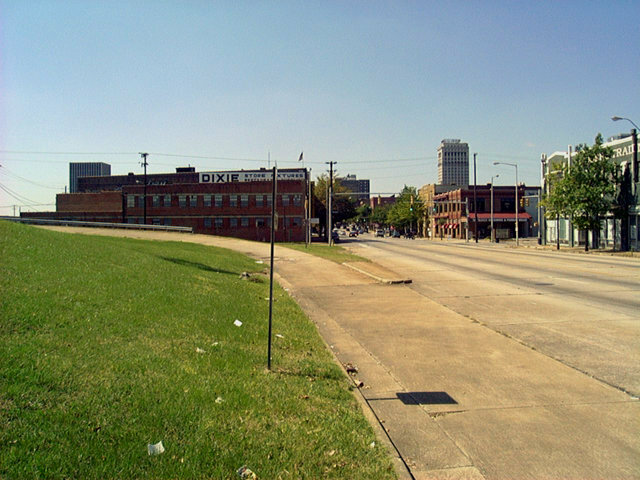 Looking north from 3rd Avenue South at overheads along the Red Mountain Expresssway northbound for I-20/59 and the freeway end Photo taken 10/01/03. 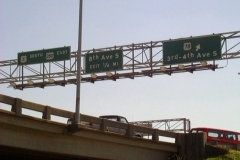 3rd Avenue South flows west with four lanes below the freeway viaduct of U.S. 31 & 280. 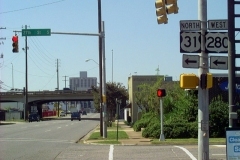 Photo taken 10/01/03. 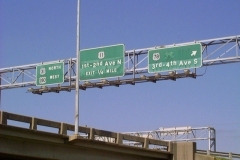 The southbound expressway sign bridge for the U.S. 78 off-ramp from 3rd Avenue South. 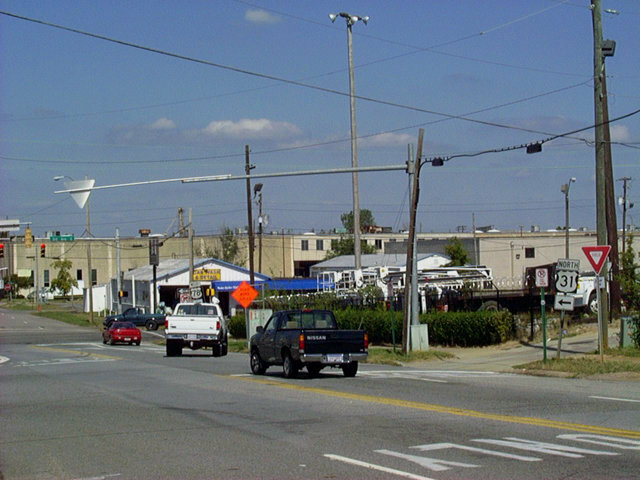 Photo taken 10/01/03. 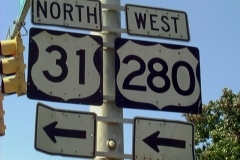 A pair of U.S. 31 & 280 shields guide motorists from U.S. 78 westbound to the 25th Street on-ramp. 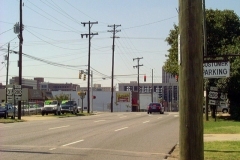 Photo taken 10/01/03. 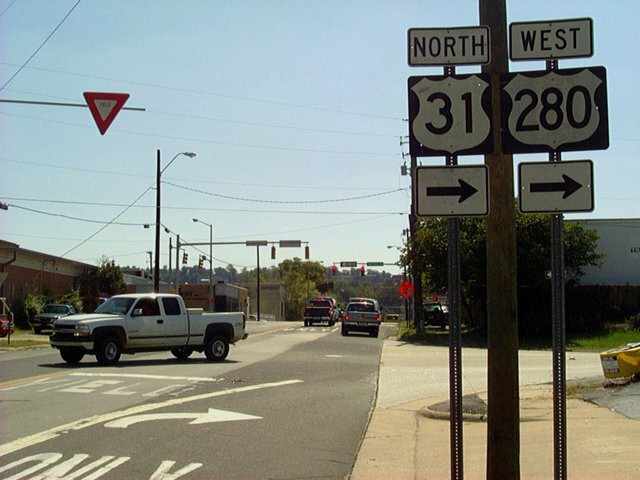 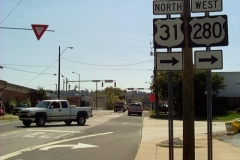 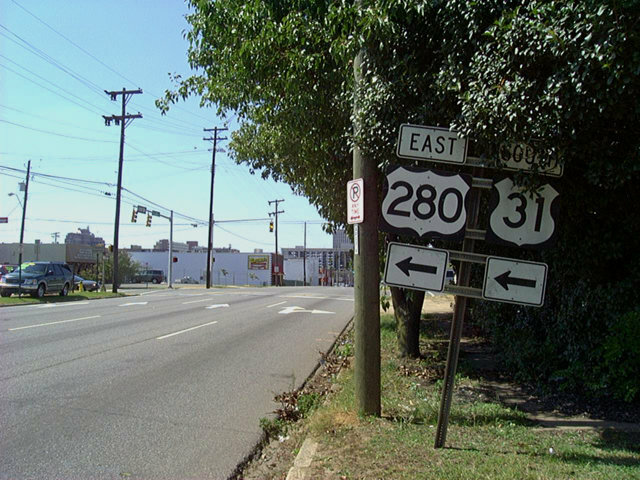 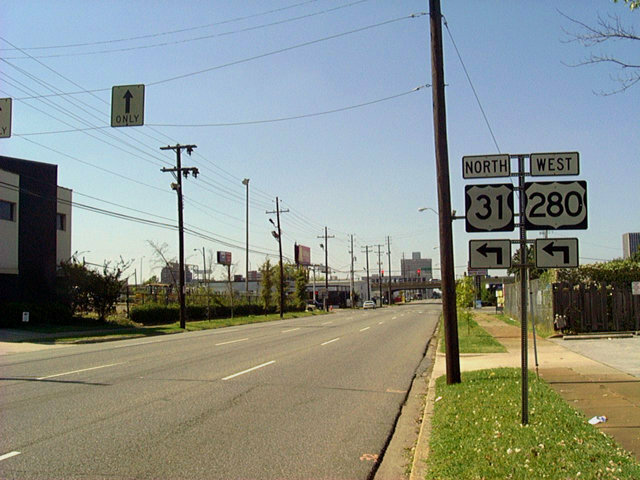 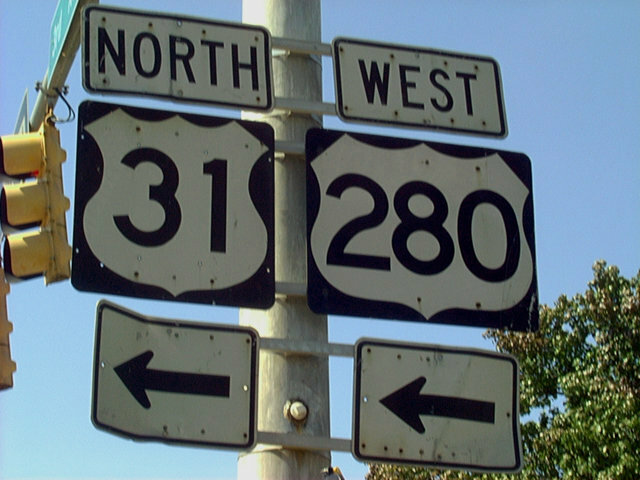 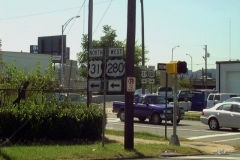 U.S. 31 south & U.S. 280 west continue together for another two miles south to the the city of Homewood and the Elton B. Stephens Expressway end. 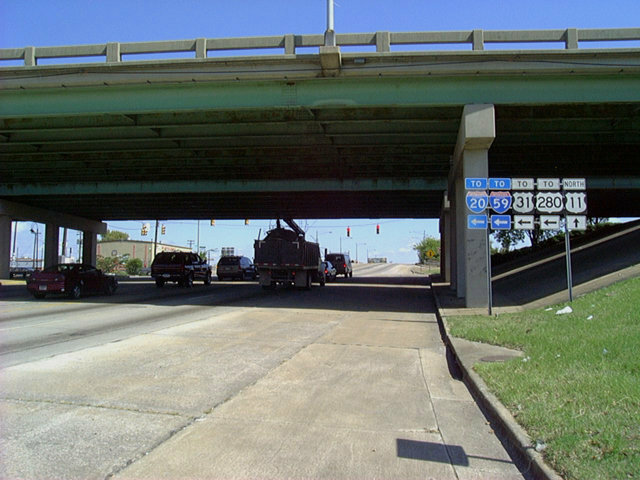 Photo taken 10/01/03. 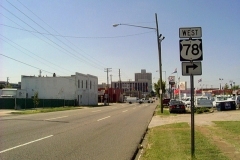 U.S. 78 west approaches the northward turn from 3rd Avenue South onto 24th Street. 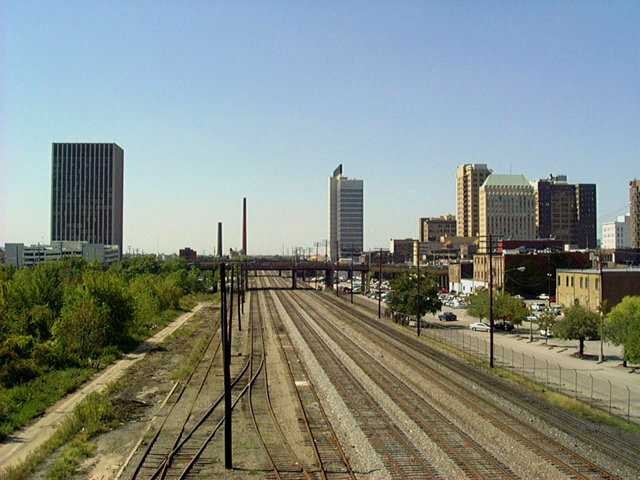 Photo taken 10/01/03. 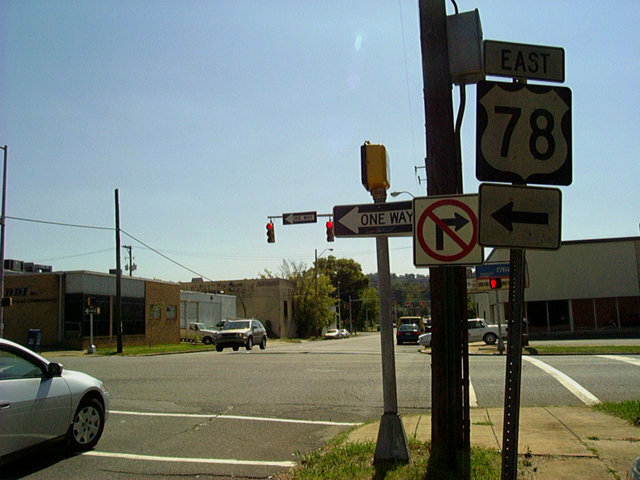 U.S. 78 westbound merges with U.S. 78 eastbound along the 24th Street viaduct. 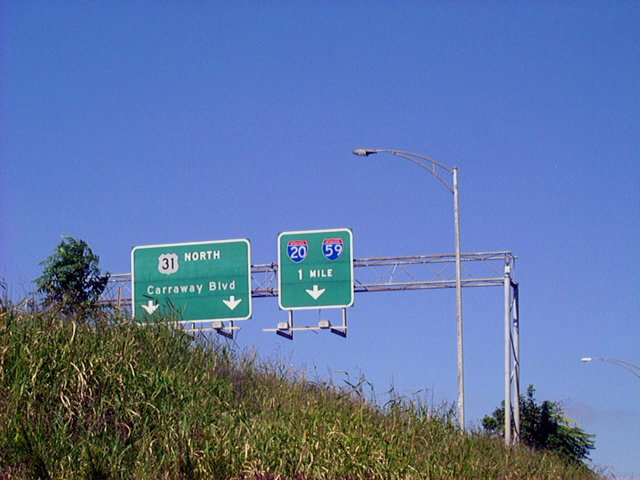 Photo taken 10/01/03. 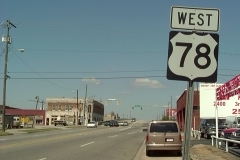 First westbound U.S. 78 reassurance shield along 24th Street, posted ahead of 2nd Avenue South. 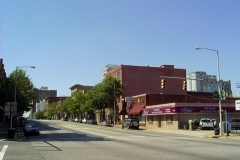 Photo taken 10/01/03. 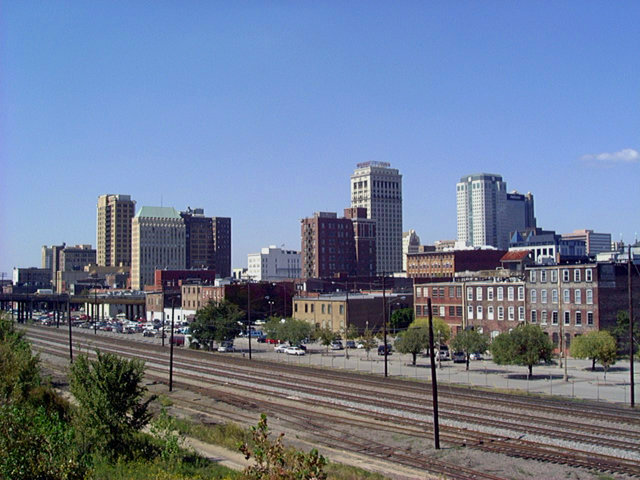 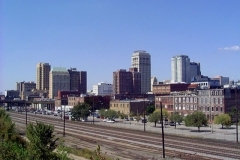 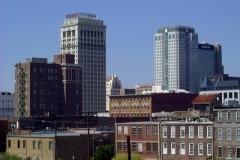 Looking northwest at the Birmingham central business district skyline from the 24th Street viaduct. 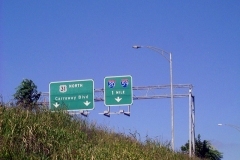 Photo taken 10/01/03. 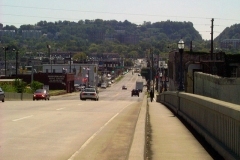 Looking south from U.S. 78 on the 24th Street viaduct at Red Mountain and the cut for the Red Mountain Expressway (U.S. 31 & 280). 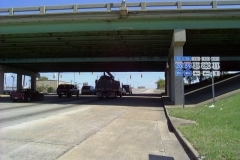 Photo taken 10/01/03. 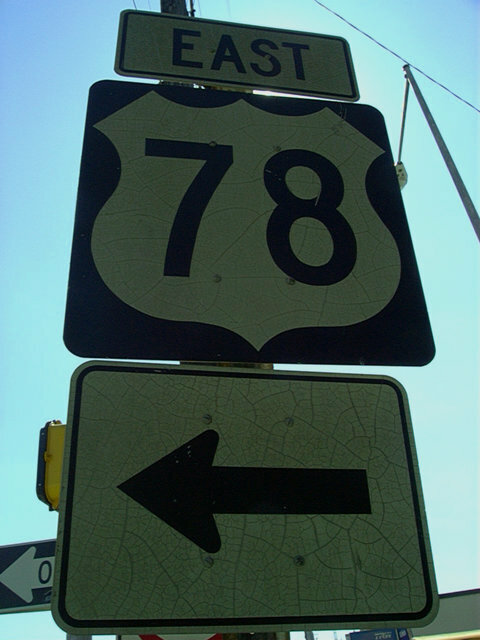 U.S. 78 descends from the 24th Street viaduct and intersects U.S. 11 at 1st Avenue North. 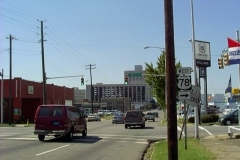 U.S. 78 combines with U.S. 11 south through Downtown. 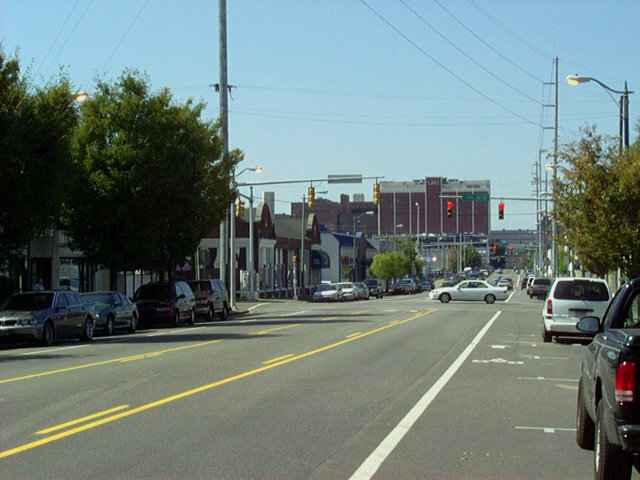 Photo taken 10/01/03. 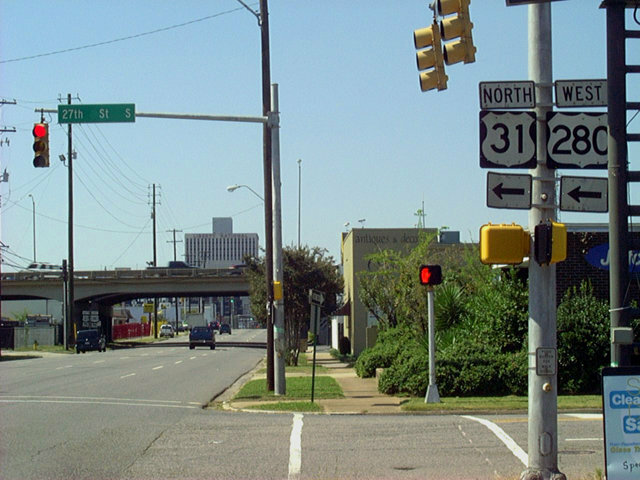 U.S. 11 north takes 1st Avenue North toward Birmingham-Shuttlesworth International Airport (BHM) and the city line. 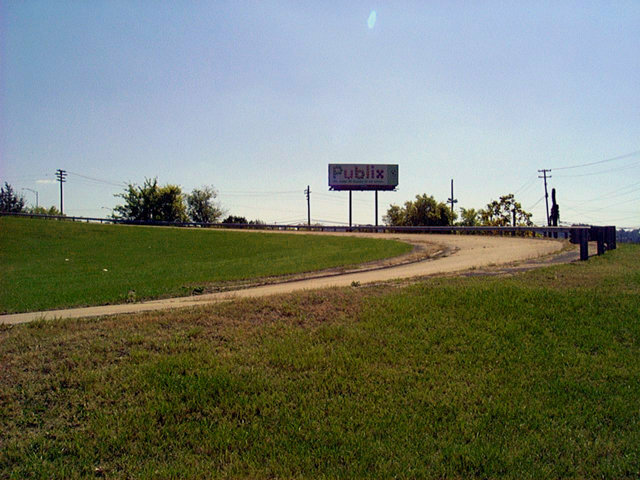 Photo taken 10/01/03. 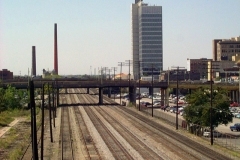 The 24th Street viaduct spans Amtrak, CSX, and Norfolk Southern Railroad lines. 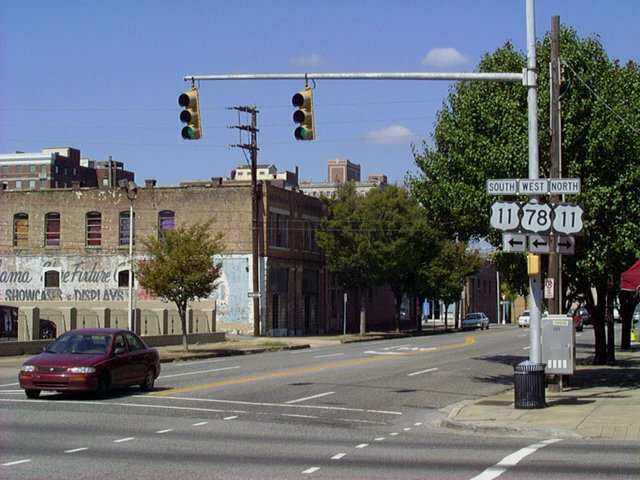 The railroad corridor represents the North / South boundary for Birmingham street addresses. Photo taken 10/01/03. 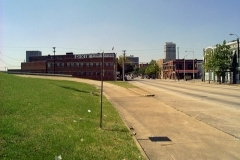 The intersection of 24th Street and 1st Avenue North, where U.S. 78 west combines with U.S. 11 south to Downtown Birmingham. 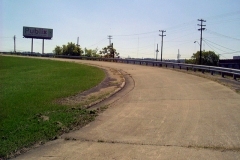 Photo taken 10/01/03. 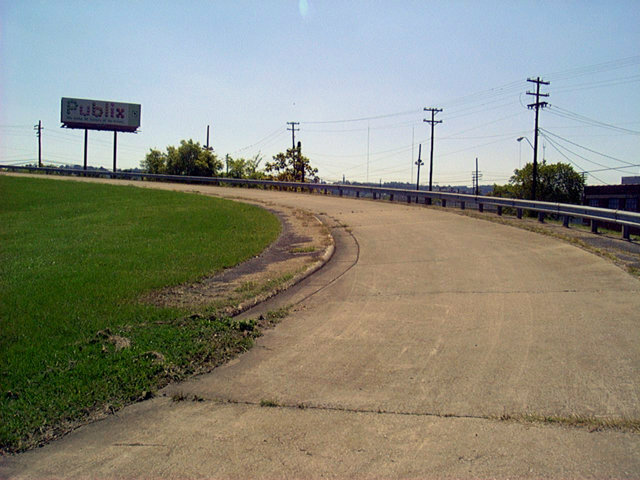 An abandoned loop ramp once connected U.S. 31 south & U.S. 280 east with northbound U.S. 11 (1st Avenue North). 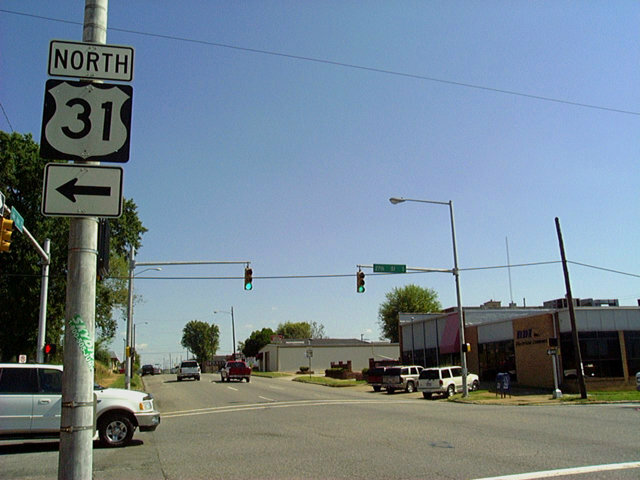 Photo taken 10/01/03. 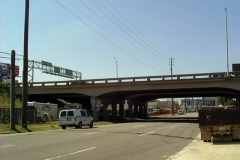 The abandoned ramp merge with U.S. 11 northbound. 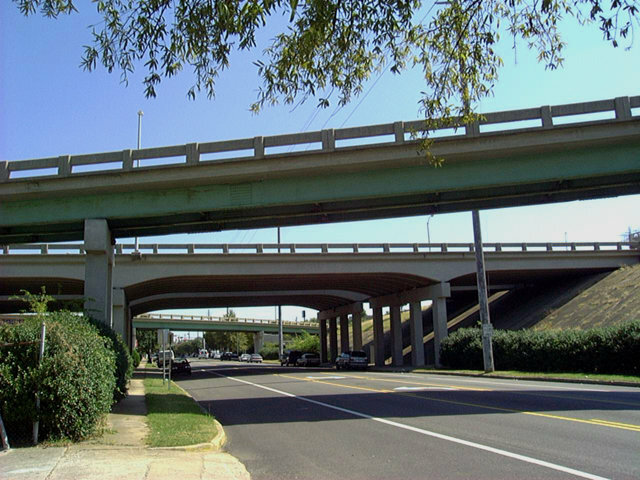 The U.S. 11 viaduct begins just beyond the Elton B. Stephens Expressway overpasses. 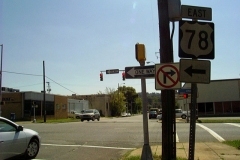 Photo taken 10/01/03. 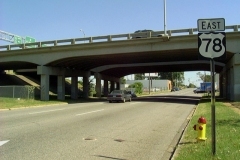 The abandoned ramp merge with U.S. 11 northbound. 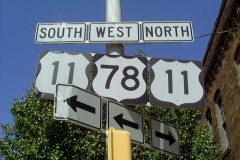 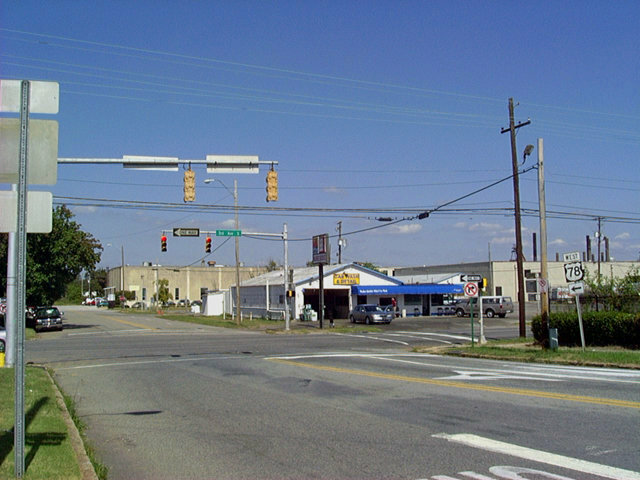 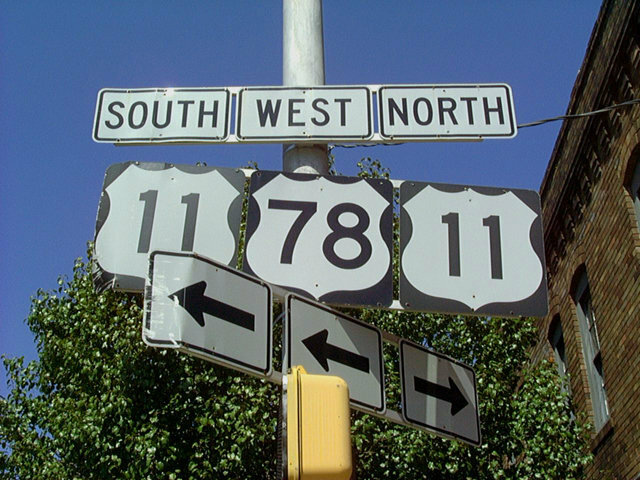 U.S. 11 and 78 meet at one block to the east. 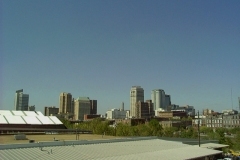 Photo taken 10/01/03. 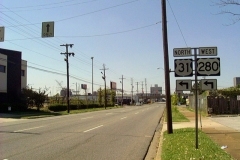 U.S. 11 north (1st Avenue North) at the U.S. 31 & 280 (Elton B. Stephens Expressway) viaduct. 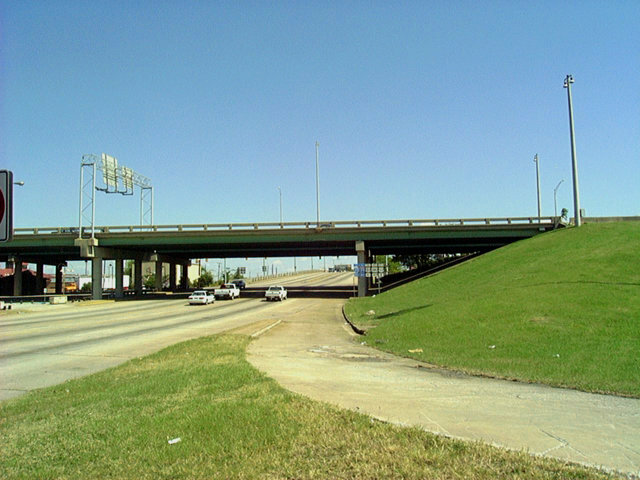 Adjacent 26th Street parallels the freeway north to an on-ramp for Interstates 20/59 at 5th Avenue N. Photo taken 10/01/03.